These Smoky Quartz eggs have good color and clarity, with nice rainbow inclusions that multiply the reflections. 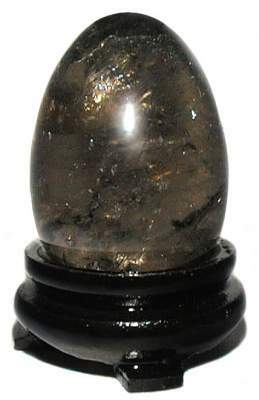 Smoky Quartz is said to help clear past wounds, leaving the bright hope of the moment. The Walnut Finish Oriental Stand is included.